Investment in many countries is led by economic powers like the United States, the United Kingdom and China, or in other cases by jurisdictions popularly used for holding companies. Somewhat surprisingly, foreign investment in New Zealand was led last year by Canada, according to a new report. The report by KPMG lists Canada as having accounted for 22% of FDI inflows, followed by China and the US in second and third place, respectively. In addition to its corporate tax rate of 28%, New Zealand levies a 33% withholding tax on dividends paid to non-resident companies and individuals. This means that the effective tax burden of a foreign shareholder’s stake in a company is an unusually high 51.76% before accounting for their domestic tax on such income. However, thanks to the double taxation agreement between New Zealand and Canada, this rate of withholding tax is reduced to just 5% for those owning a 10% stake in the business, and 10% for others. This lowers the effective tax rates to 31.6% and 35.2%, respectively. These terms are considerably more favourable than those offered to investors from the United States and China, whose withholding tax is capped at 15%. Thanks to this tax advantage, it is much more attractive for Canadian residents to invest in the New Zealand economy. Canada has a close diplomatic and cultural relationship with New Zealand, influenced by several factors. For example, English is the most widely-spoken language in both nations, which also have significant indigenous populations. That both countries are the second-largest in their respective regions (North American and Oceania) likely also adds meaning to the relationship. Despite this, their economies are largely unreliant on each other. Only 1.41% of New Zealand’s exports went to Canada in 2012, accounting for a gross amount of US$535mm. A mere 0.16% of Canada’s exports, worth US$449mm, went the other way. Despite the closeness of the relationship, these are trumped by local neighbours when it comes to trade, with Australia and the United States unsurprisingly having the strongest trade ties with their regional partners. Canada’s public pension fund has more than CA$265bn under management, which it invests both domestically and abroad. Due to growth in other asset classes, the fund’s attention has moved to invest more heavily in real estate to re-balance its portfolio allocation in recent years. By comparison, CalPERS, one of the United States’ largest investors that made waves by exiting its hedge fund investments last year, has close to US$300mm under management. This drive to invest more of its capital in real estate led to the pension fund’s purchase of a New Zealand property portfolio worth more than NZ$1bn. The pension fund’s other major investment is a timberland deal, increasing its holding of the Kaingaroa timberlands to from 30 to 59% for an undisclosed sum. The choice of such a large transaction may be partially due to New Zealand’s partial restriction of foreign land investment. 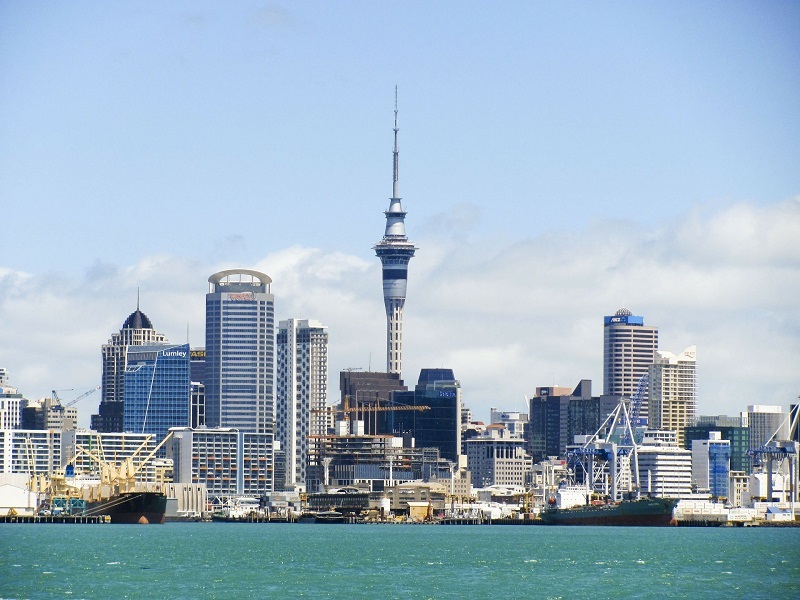 New Zealand subjects the sale of “sensitive assets” to approval by the Overseas Investment Office, which covers business assets worth more than NZ$100mm, fishing quotas and sensitive land. Otherwise, investing in New Zealand as a foreigner is largely unrestricted. Apart from the withholding tax covered above, the only burden on a foreign investment in New Zealand is the need for a resident director. New Zealand companies can be registered with just a single shareholder and director in a matter of days, giving access to a domestic economy that was worth US$185.8bn in 2013. If you are interested in starting a business in New Zealand, or expanding your business to the country, learn more on our page on the advantages and disadvantages of doing business in New Zealand. Read more about the NZ incorporation process. Alternatively, contact our company incorporation experts directly: .